Role of WEP: WEP was responsible for the engineering of the wells and drilling management / supervision during the execution of the project. Challenges: Difficulties with the top-hole section due to failing equipment. 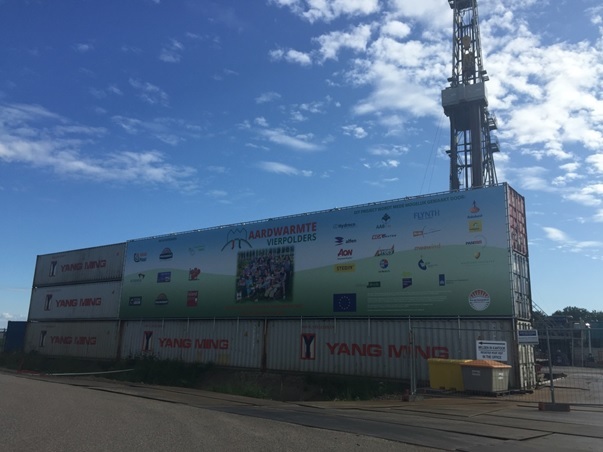 After an extensive period of project preparations the drilling rig was moved to Vierpolders in July 2015. Two J-shape directional wells were drilled from the same location at ca. 5m distance on surface. 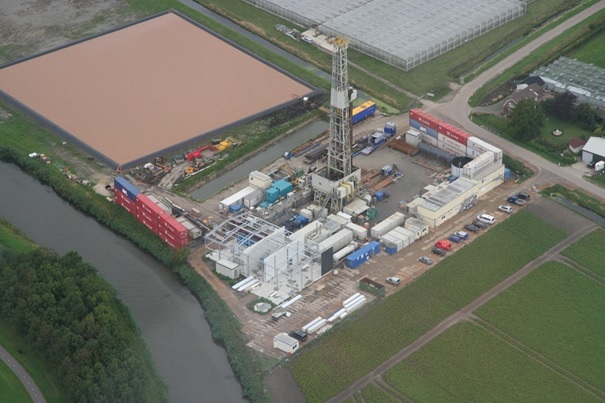 The first well (BRI-GT-01) was drilled to ca. 3100m, the second (BRI-GT-02) to ca. 2600m. 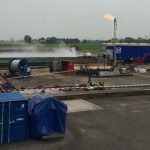 During drilling of the first well some delays were encountered in the tophole section due to failing equipment. Good progress was made in the intermediate section and drilling of the reservoir section, which had brought the project back on schedule. While installing the screen section and during the production test some unexpected operational delays were experienced again however, resulting in an overall project delay of about 4 days. 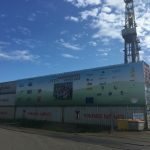 The second well was drilled efficiently with all relevant learnings from the first well implemented. 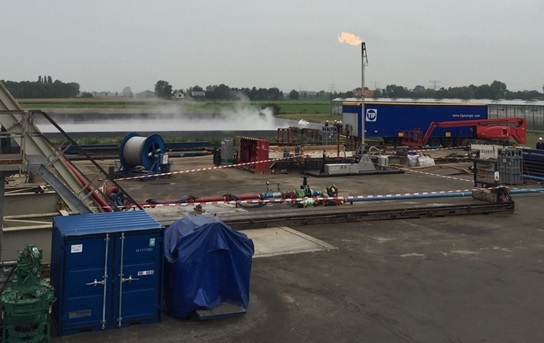 Some delays were encountered in the reservoir section and during the well test, due to failing equipment. 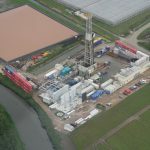 Both wells have been drilled and completed successfully in 83 days, which was a few days less than planned for.